Seized documents show that Nobel Peace Prize winner Lech Walesa was a paid informant for Poland's communist-era secret security service, officials said Thursday, NBC News reported. Lukasz Kaminski, head of the National Remembrance Institute, said documents seized from the home of the last communist interior minister, Gen. Czeslaw Kiszczak, include a commitment to provide information that is signed with the former Polish president's name and codename, "Bolek." There are also pages of reports and receipts for money signed by 72-year-old Walesa. 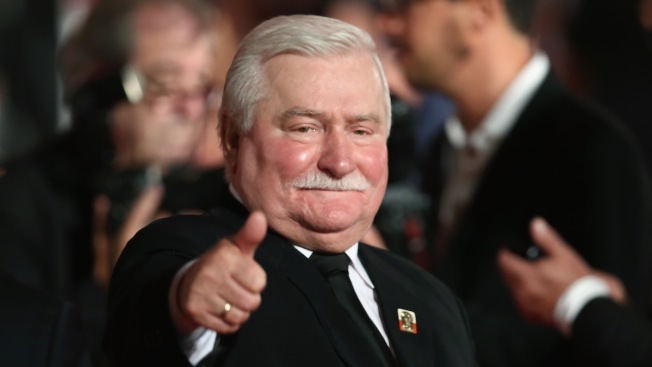 Walesa issued a statement suggesting the document was forged. "I will prove it in court," the anti-communist icon who was recipient of the 1983 Nobel Peace Prize wrote in a blog.